Dido Sylvia Jones is six years and twenty seven days old when she moves from London squat to suburban Essex and promptly falls in love with Tom Trevelyan, the boy next door. It’s not just him Dido falls for, though: it’s also his precocious sister, Harry, and their fastidious, controlling mother, Angela. Because Angela is everything that Edie – Dido’s own mother – is not. And the Trevelyans are exactly the kind of family Dido dreams of. Which is what Dido wants to be, more than anything else in the world. But normal is the very thing Edie can never be, as Dido – and the Trevelyans, including Dido’s beloved Tom – will eventually learn the hard way. 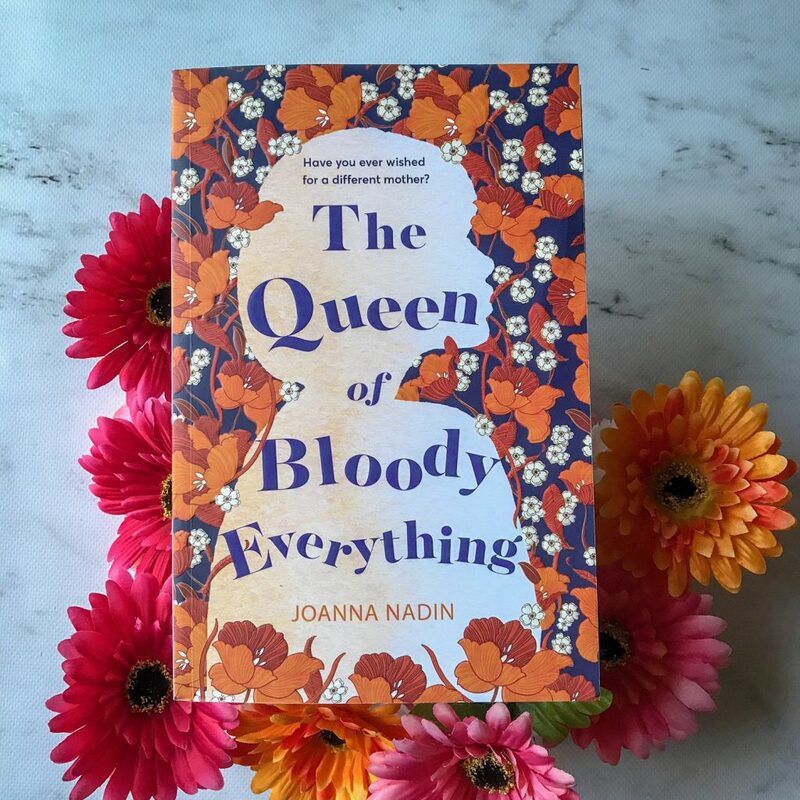 The Queen of Bloody Everything by Joanna Nadin is a heartbreaking and heartwarming novel about family, relationships, and what it means to be ‘normal’. This book explores the relationship between Dido and her mother Edie. Dido doesn’t know who her father is, and so it’s always been just her and her mother. And even though she loves Edie, even a young Dido knows that there’s something dysfunctional about their family. Edie is a single mother and she’s blunt, brazen, brash and defiant. She doesn’t conform to society’s expectations of her, but over time Dido learns to accept her mother for who she is. The book is written in second-person, from Dido to her mother Edie. At first, the positioning is a little jolting for the reader, but I eased into the story quite quickly and I learnt to accept the second-person narration. We are introduced to Dido in the 1970s when she is six years’ old, and she has the energetic but unapologetic nature of most children. It makes for a fun and enjoying read. 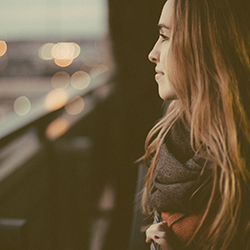 As Dido grows older, we follow her journey through school and university. This book is not just about her tumultuous relationship with her mother. It’s about her friendship with Harry next door, and Harry’s brother Tom. Dido’s love for Tom lingers for most of her life, but their time together always seems short and fleeting. As the reader, you grow to love each of these characters and you keep reading because you want to find out how their stories end. The Queen of Bloody Everything explores the notion of dreaming for another life. Dido grows up wishing her family was more like the Trevelyan family. She dreams of a different mother and a different home life. When Tom starts dating other girls, Dido dreams that she was his — that it was her who Tom chose. “Small town, small minds,” you say, as now-to-be-neighbours watch us through twitching nets as we drag dustbin bags and old crisp boxes from the back of Maudsley Mick’s Transit. I stare back defiantly as I march up the path, ignoring the trail of tampons, playscripts, a potato masher that I leave in my wake. Dido grows up, but she continues to come home and visit Edie. Despite her mother doing some truly awful things during Dido’s childhood, Dido doesn’t ever stay away for too long. Their relationship is difficult and complex, and readers will relate to this a lot. The novel is full of wit and heart, and I highly recommend that everyone read this book. It was definitely a surprise for me — based on the blurb, I wasn’t anticipating that I would love this novel as much as I did. The Queen of Bloody Everything is tender and humorous, warm and entertaining. The characterisation is the book’s biggest strength; the reader falls in love with Dido and her friends, and even her mother Edie. You read the book wanting to know how their journeys will end, after all the decades that they’ve spent together.